You manage finally to knit evenly and then you come across a pattern consisting of holes. Intentionally holes in a piece of knitting? Yes, there is. A yarn over (referred to as “yo”) is an increase which results in a hole. The additional stitch is usually paired k2tog (knit 2 stitches together) so that the knitted piece is always the same width. 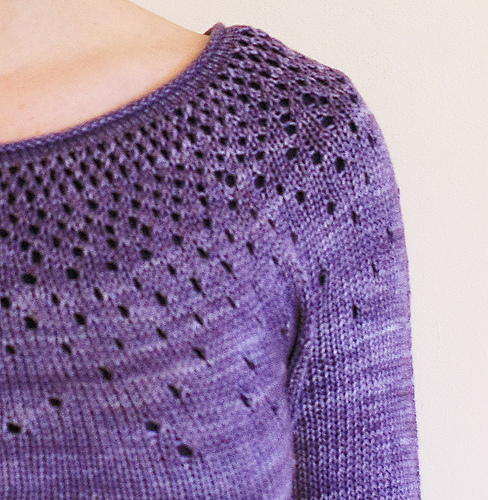 No lace pattern is without yarn overs. They are used as decorative increases or as buttonholes. How to knit a yarn over? Wrap the yarn around the right-hand needle – from front to back. Work the next stitch as the pattern indicates. You have an extra stitch on your needles. In the next row or round, you work the yarn over as a normal stitch (knit or purl). Now the hole is visible. The yarn starts always in front of the needle. Sometimes it’s already in front of the needle (while purling); sometimes you have to move it forward (while knitting). To get a bigger hole, wrap the yarn twice or more according to the knitting pattern around the right needle. If you don’t want a hole, then work the yarn over through the back loop. 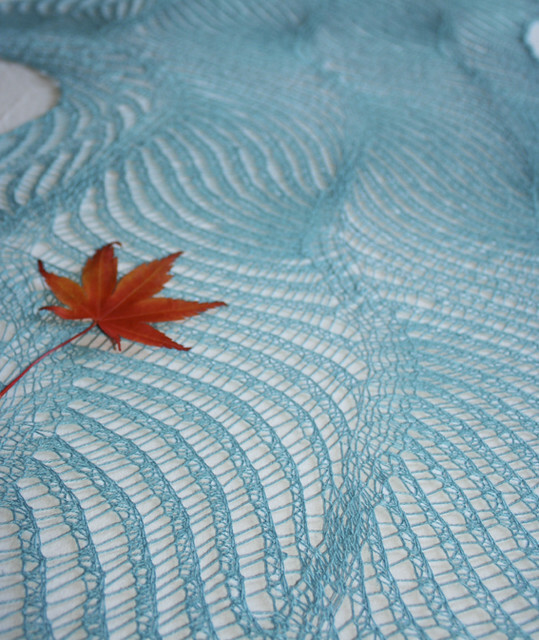 If you look for a perfect pattern to practice yarn overs, then have a look at the Langebaan shawl. What’s your experience with yarn overs? Did something cause problems?